Just in time for Easter, the Studios of Cocoa Beach, 165 Minuteman Causeway in downtown Cocoa Beach, is offering a special daytime Sip n Paint party. 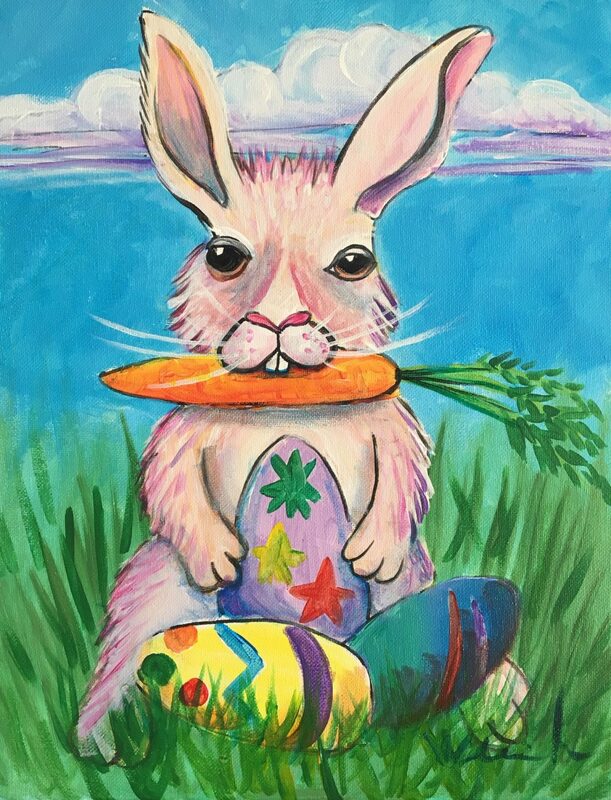 Join local artist and experienced teacher Jaymee Weinreich from 1 to 4 pm on Saturday April 20 as she guides you through a complete acrylic painting featuring “Benjamin Bunny” . Bring your friends and your favorite beverage and go home with a complete work of art.